Islam Around Us: Taliban kill 15 Afghan police in western province. Taliban kill 15 Afghan police in western province. Kabul | 29 Aug 2013 :: An Afghan official says 15 policemen have been killed and another 10 wounded in a Taliban ambush in western Afghanistan’s Farah province. 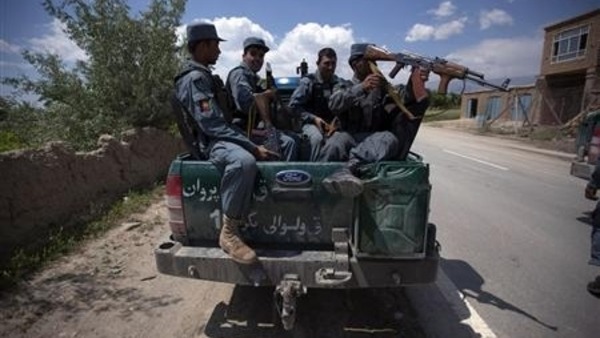 Farah provincial spokesman Abdul Rahman Zhawandai said Thursday that the Afghan National Police squad was on patrol along the region’s main highway when they were ambushed in a mountain pass. Zhawandai said the attack occurred late Wednesday as about 40 policemen were patrolling the highway in several vehicles. Insurgents frequently ambush vehicles on the highway, which is a main trade route through the province.